Home / COMEDY / Teacher Vs Teacher in Rowdy Comedy "Fist Fight"
Teacher Vs Teacher in Rowdy Comedy "Fist Fight"
Remember those inspiring high school movies where a dedicated but unconventional teacher is assigned to the worst class and, defying the odds, transforms them all into well-behaved honor students? 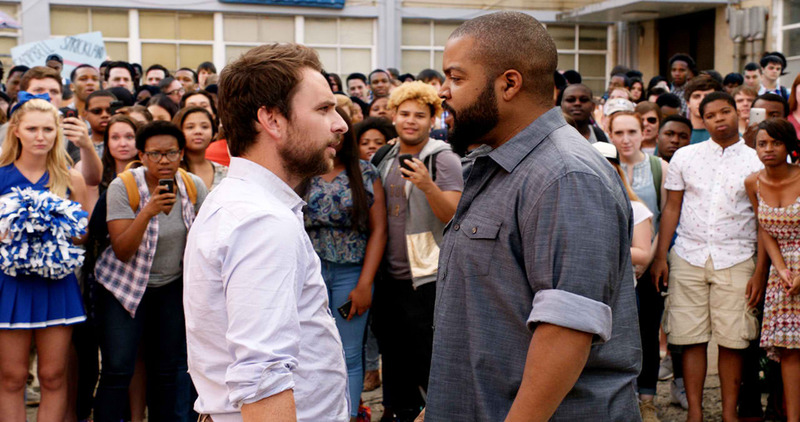 Well, New Line Cinema’s upcoming comedy Fist Fight isn't one of those. Director Richie Keen says, "This is definitely a heightened experience of high school. It takes place entirely over one day -- the last day of the year at Roosevelt High, which is the traditional Senior Prank Day, so it's utter chaos. We wanted to see how far we could push that envelope." It starts out as the teachers versus the students, or, as Keen puts it, "the prison guards versus the inmates." But everything changes when two teachers are pitted against each other. Suddenly Senior Prank Day is overshadowed by the promised faculty fracas that quickly goes viral. #TeacherFight. Ice Cube and Charlie Day head the cast as the two teachers about to come to blows, and the actors also serve as executive producers on the film. 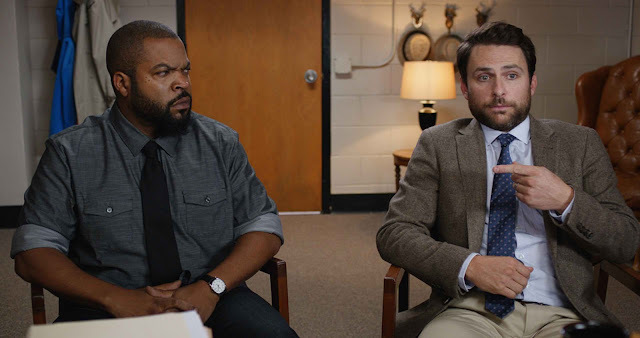 Cube relates, "When I first got the script for 'Fist Fight,' I was like, 'Yo, this is what you go to the movies for; it's the kind of film that you can just have fun with.' "It's like one of those movies where you have a ticking time bomb, but the time bomb here is my character, Ron Strickland." Day, who stars as Strickland's opponent, Andy Campbell, agrees. "I mean, who doesn't love a good high school movie? 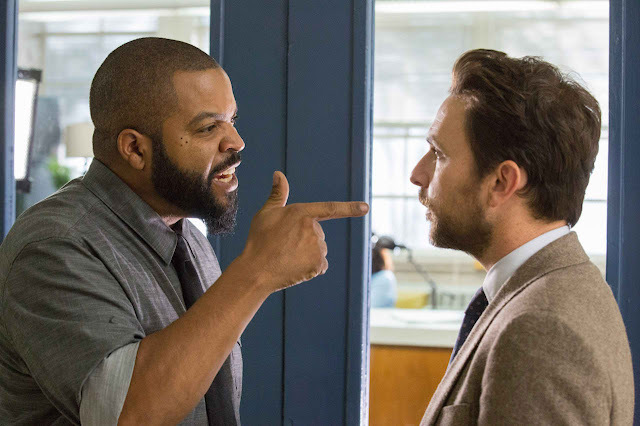 And I thought the dynamic between my character and Ice Cube's character jumped off the page. I liked the ticking clock scenario, where it's a pressure cooker and the heat keeps getting turned up. Those were the elements that made the script exciting to me." Even before Andy's date with destiny-or death, depending on whom you talk to-he is not exactly having a good day. Keen elaborates, "The kids at school are crazy; his pregnant wife is three days past due; and he's nervously waiting to find out if he's among the teachers being fired due to budget cuts. Then, being in the wrong place at the absolute wrong time, he happens to witness Strickland having a 'final straw' moment with his students, who have pushed him one time too many. He's put in a tough spot when he and Strickland are called in by the principal who wants to know what happened. With his job on the line, Andy reluctantly points a finger at Strickland, at which point Strickland tells him to meet him in the parking lot after school at 3:00. That's when things really get started." If the longsuffering school manages to survive Senior Prank Day, the faculty and students will witness a no-holds-barred brawl between two of their own. Unfortunately for Andy Campbell, this test is pass or fail -- and they're not grading on a curve. Richie Keen directs from a screenplay by Van Robichaux & Evan Susser (Funny or Die’s What’s Going On? With Mike Mitchell), story by Van Robichaux & Evan Susser and Max Greenfield.